Discussion in 'The Lounge' started by BigMike, Apr 24, 2008. RICHMOND, Va.  It's one thing to dangle fuzzy dice from a rear view mirror, but decorating a trailer hitch with a large pair of rubber testicles might be a bit much in Virginia. State Del. Lionel Spruill introduced a bill Tuesday to ban displaying replicas of human genitalia on vehicles, calling it a safety issue because it could distract other drivers. As long as I can keep my real ones there, I'm cool with that. "...calling it a safety issue because it could distract other drivers." Perhaps a better driving test if that's all it takes to distract a driver. if a truck with a set of those backs into your car, does that mean you just got teabagged? I actually like them... they tell us just what kind of Fvcktard we are dealing with... kinda like the rebel flags etc. only if they bounced on your chinspoiler! What happens when they hit your bra? I completely agree. It's as good as hanging a sign on your vehicle indicating your IQ. If only it were so easy to identify all dips**ts. agreed. it's a stereotype shortcut which is highly accurate. I completely agree. It's as good as hanging a sign on your vehicle indicating your IQ. If only it were so easy to identify all dips**ts. "REDNECK" in big letters across the top of his windshield. Bonus points when it is done with a flag background. Thanks buddy for the clarification. I couldn't quite figure it out you know with the lifted truck, nascar stickers, flowing mullet perched beside your mall-banged passenger. One deep south classic is to take the (rebel or American) flag right off of your house and attach it to your truck. I am a true Merkin! Of course it's too big and the wind breaks it off and it lies in the road. But it was looking good for a minute there! What about the GIT'R DONE! decals? Do you know how many links I had to follow to understand what you guys were talking about? 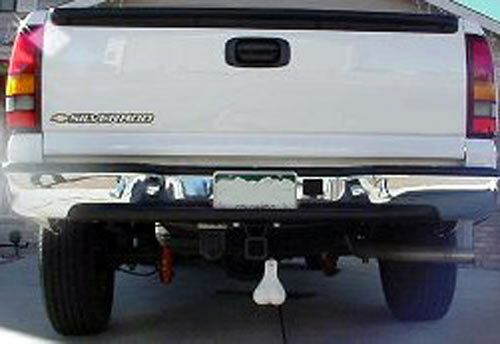 Second, funny how they hang balls next to their empty hitch mount making their truck a hermaphrodite. The redneck down the street spray painted it on his tail gate. I am guessing the sticker was too small. He has "Let'r Buck!" on the other one. do you know what a merkin is? quite fitting of that group of people, however. That's how it's pronounced down south. A bit ironic. REPLICA TESTICLES? REPLICA? Well, I am no longer impressed. what if it's lance armstrong or some other testicular cancer survivor? Wouldn't the oversized replica testicles be a test-ee-ment to their testicular fortitude of surviving and living strong? They sell them with only one simulated nut? Wouldn't the oversized replica testicles be a test-ee-ment to their testicular fortitude of surviving and living strong? In thier pants, maybe. Hanging off the back of thier hick-mobile, not so much. Up here, they put them on everything. I've seen blue ones on the back of a Dodge Neon (no, not a srt-4 or sx2.0, but a true Neon), I found it fitting. I agree with making them illegal for "on-road use". I ran over a set the other day in my minivan, not a nice experience, especially for the truck that lost them...hehehe. We are in agreeance. It is a perfect warning sign that a moron is on board. Just like the mullet, H2 and "W" bumper stickers. ...I ran over a set the other day in my minivan, not a nice experience, especially for the truck that lost them...hehehe. so you drive a Dodge Nutcracker? Is that the FWD or AWD version? I saw a dude with a dead redtail hawk smashed into the grill of his large van. Not sure if he hung it there or hit it and never removed it... but it was awesome.